The Bucktown neighborhood is located 3.5 miles northwest of the loop, bordering Wicker Park, Lincoln Park, and Logan Square. 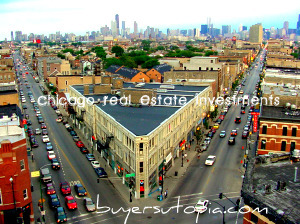 Bucktown property for sale is primarily of residential stock with a mix of single-family homes and converted lofts. 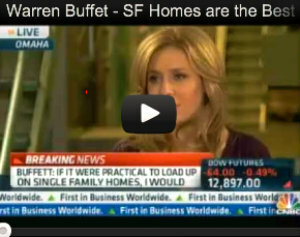 On average, a one-bedroom in a multi-unit building is priced around $270,000 and $375,000 for a two-bedroom unit. Larger rehabbed spaces that have been upgrades with finer amenities have been listed for as much as $900,000. Three bed-room single-family homes typically run at around $650,000 while larger, higher-end units in the Bucktown Real Estate push the million-dollar mark. 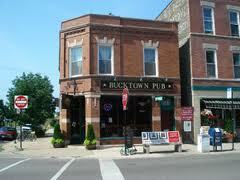 The name Bucktown is closely tied to its history as Polish immigrants settled the area in the 1800s. The name is thought to have come from the goats that many of its early Polish residents farmed in their backyards (the male goat is a buck). Germans, Mexicans and Puerto Ricans also settled these former wetlands here later in the century. Known as Little Poland in the early 20th century, Bucktown later saw strong growth in the Latino population which has added to the area’s ethnic diversity. The area became popular with artists beginning in the 1990s and has since developed into a higher-end residential Chicago neighborhood. Bucktown boasts a host of restaurants from common Chicago style neighborhood eateries to more trendy hotspots for a more refined culinary experience. Most places are privately owned with very few chain restaurants on the menu in this Chicago neighborhood. For those with a sweet tooth, make sure to visit Hot Chocolate, a café offering fresh out of the oven baked goods owned and managed by acclaimed pastry chef Mindy Segal. For classic Chicago fare, including the infamous hot dog, one should visit George’s Hot Dog on Damen Avenue, serving classing Vienna beef, Chicago style dogs, Polish sausage, and bratwurst. Bucktown remains home to a strong artist community centered around Gallery Point. So it makes sense that the neighborhood supports numerous galleries where the artsy types can explore, hang out and even purchase works to bring back home. Bucktown retains its historic past which is evident in its architecture and diversity in people, but things are changing. Cottages are quickly being overshadowed by a growing number of modern condominiums with sophisticated interiors and unique floor plans. The mishmash of contemporary and vintage homes makes for an eclectic stock of properties available for those looking for fixer-uppers or sleeker condos ready for purchase and move in. Due to its continued rise in the ranks of residential Chicago’s neighborhoods, a large selection of the properties in Bucktown offer higher-end features like granite kitchen countertops, stainless steel appliances, hardwood and remodeled bathrooms.